This is for articles that break new ground and expose wrongdoing – such as corruption, malfeasance, or abuse of power – in the public and private sectors. FIJ encourages proposals written for ethnic media as well as those submitted by journalists of color. Grants average $5,000 but can be as high as $10,000. They cover out-of-pocket expenses such as travel, document collection, and equipment rental. FIJ also considers requests for small stipends. FIJ also has a small crew of experienced investigative journalists to mentor a select number of their grant recipients. To be considered, foreign-based story proposals must come from US-based reporters or have a strong US angle, involving American citizens, government, or business. All stories must be published in English and have a media outlet in the US. Writers should get a letter of commitment from a news outlet for their stories (see guidelines). For book authors applying for a grant, a signed book contract serves as the agreement. This is for UK writers. Cosmopolitan is inviting writers to pitch for its features, art, beauty, and fashion teams – the chosen writers will be brought to their London headquarters, paid a living wage for a month, and given accommodation and a travel pass. 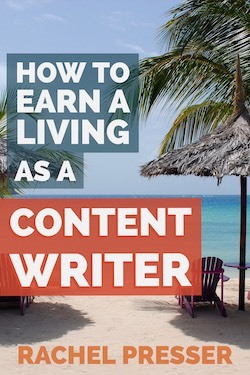 Their guidelines say, “You don’t need any experience, any fancy skills or even a dazzling CV – just a willingness to learn.” They have varying requirements for the applications for each desk, some of which include short memoir pieces and ideas for articles. This prize is for new and emerging Canadian writers, for a short story or excerpt from a fiction work-in-progress first published by a Canadian magazine or annual anthology during the previous calendar year. Submissions must come from eligible Canadian print and online-only literary magazines and annual anthologies. This is the richest prize for a single short story in English, for any writer around the world who has been published previously in the UK or Ireland. Send a story of up to 6,000 words. The story must be either unpublished, or be first published or scheduled for publication after 1 January 2018. This prize is for US poets for a book-length poetry manuscript (48-100 pages) originally written in Spanish, accompanied by an English translation. Poets can send their own translations, or collaborate with a translator who may or may not be a poet, in which case the prize money is shared between the poet and translator. This contest, previously called the Lindquist & Vennum Prize for Poetry, is a manuscript contest for poets in the upper Midwest – Minnesota, Iowa, North Dakota, South Dakota, Wisconsin, or Michigan. Poets should send a poetry manuscript, of 48 or more pages. This is for Canadian writers aged under 35 who have published work in literary magazines, but not in book form. Candidates are to submit 5-10 pages of unpublished poetry. The award alternates each year between short fiction and poetry. This is an award for promising early-career non-fiction writers to research and write an article that tells the truth about a human condition. One of the main purposes of the award is to fund a project that otherwise would not come to fruition. Both full-time writers employed with publications (see guidelines), as well as freelance writers are welcome to apply. Writers do not have to be US citizens, nor does the project have to be published in American media, but the publication where the report is published should be well-known to American audiences. The award will not fund proposals to report on armed conflicts where journalists are already imperiled, nor projects that are mainly investigatory. The winner will receive visiting scholar privileges at NYU, including library access. Two people can jointly apply also. The residency, for a month, includes lodging at a loft apartment in Piggott, Arkansas. The writer-in-residence will also have the opportunity to work in the studio where Ernest Hemingway worked on ‘A Farewell to Arms’ during an extended stay with his wife’s family in 1928. The writer will be expected to serve as mentor for a week-long retreat for writers at the educational center, for 12-14 writers from the region. The recipient will be expected to hold one or two readings of his/her own work in the region. The remainder of the month will be free to the writer-in-residence to work on his/her own work. Candidates with an MA or MFA in a relevant field are preferred. This is for UK writers. They want short stories of 1,500-2,000 words with the title or theme of ‘A New Home’. Writers can interpret the theme as they wish. They are looking for stories that combine a strong and engaging idea with overall great writing and story-telling. This is a speculative literature grant for working class, blue-collar, poor, and homeless writers who have been historically underrepresented in speculative fiction. They have helpful, comprehensive guidelines about who could qualify as coming from a working class background for this international grant. Poems must have a theme of Meditation or Mindfulness – they can be of any length or style. They may reflect any discipline, any faith, or none. Poems not on the themes of meditation, mindfulness, stillness, or sacred silence will not be included. Up to three poems will be considered. This is for residents of the UK and Ireland. Send an original play script which has a minimum running time 60 minutes, or a script of at least 40 pages, or at least 9,000 words. They give feedback to all entrants. This award is for a creative non-fiction piece of up to 5,000 words on any subject. Translators and authors of multilingual texts are encouraged to submit their work for The Gabo Prize. Writers should indicate whether the translation falls under poetry or prose, and include the original work along with your translation. Original, bilingual work qualifies for the Gabo Prize. This is for the best self-published ebooks by African American authors born in the US. The prizes are for fiction and poetry genres. Submit an essay of 1,500-2,500 on this topic: Should We Be Grateful? Their guidelines say, “That perfect cup of coffee in the morning. Seeing an old friend for the first time in years. A big meal with your family. All of them make us feel grateful – grateful for loved ones and grateful to be alive. Gratitude is an important part of the human experience. And it’s not only for people; animals show gratitude to those who care for them. The question is: Why do we feel grateful? What should be we grateful for? And even, should we still be grateful when we’re depressed or when our lives are a mess? For this year’s Essay Contest, we want to hear from you. What are you grateful for? Who are you grateful to? Are you grateful?” Writers should read terms and conditions laid out in the FAQ, which specify that any of the entries may be published, whether or not they win the prize. These are poetry prizes in four categories: the Dave Drake Literary Prize for middle school students, for high school students, the Spring Robinson/Mahogany Red Lit Prize for adults (20-60 years), and another for senior poets (aged 61 and above). Send up to three poems. This is the UK’s most valuable prize for poets aged 16-18 years. Submit a poem of up to 48 lines on the theme of ‘Underwater’. This grant offers artists, including writers and playwrights, the opportunity to work in Japan. They have a special call this year, where they and the National Endowment for the Arts invite leading contemporary and traditional artists from the US to apply for a unique collaborative artistic fellowship designed to highlight US-Japan artistic partnerships during the Olympic Games in Tokyo. The completed collaborative artistic projects will be showcased in Tokyo during the Olympic Games July 24-August 9, 2020, and/or Paralympic Games August 25- September 6, 2020. Alumni of the US-Japan Creative Artists Program are encouraged to apply for this round. Work must be in collaboration with Japanese colleagues. Applicants must be professional creative artists (see guidelines for details about writers’ publishing requirements) working in their field. Proficiency in Japanese language is not required.